This session deals with creating a productive environment wherever you are. 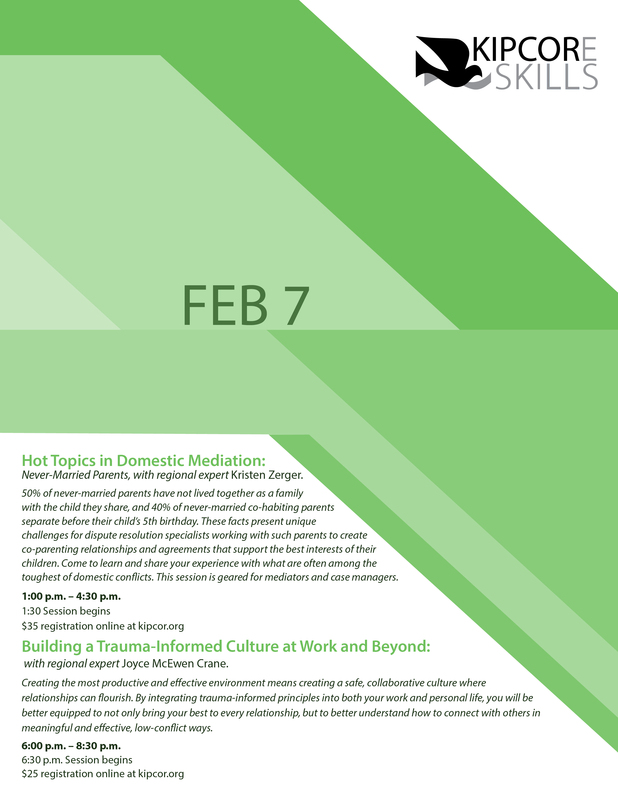 Regional expert Joyce McEwen Crane will lead us in the program, “Building a Trauma-Informed Culture at Work and Beyond”. Creating the most productive and effective environment, whether at work or elsewhere, means creating a safe, collaborative culture where relationships can flourish. By integrating trauma-informed principles into both your work and personal life, you will be better equipped to not only bring your best to every relationship, but to better understand how to connect with others in meaningful and effective, low-conflict ways. The session begins at 6:30 PM and concludes by 8:30 PM; come at 6:00 for networking and snacks before the session. Registration cost is $25.